Hi everyone! It's Kim from Elementary Antics today. 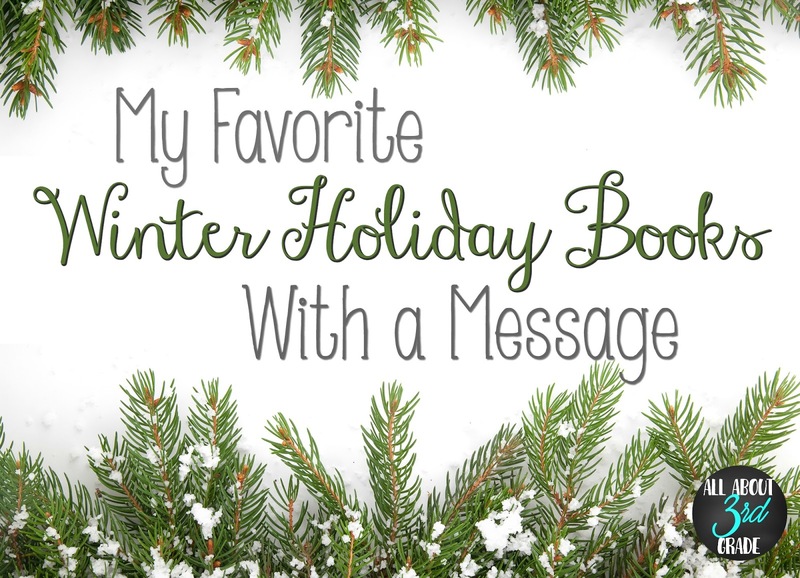 I'm sharing a few of my favorite winter holiday read aloud books just in time for the season! 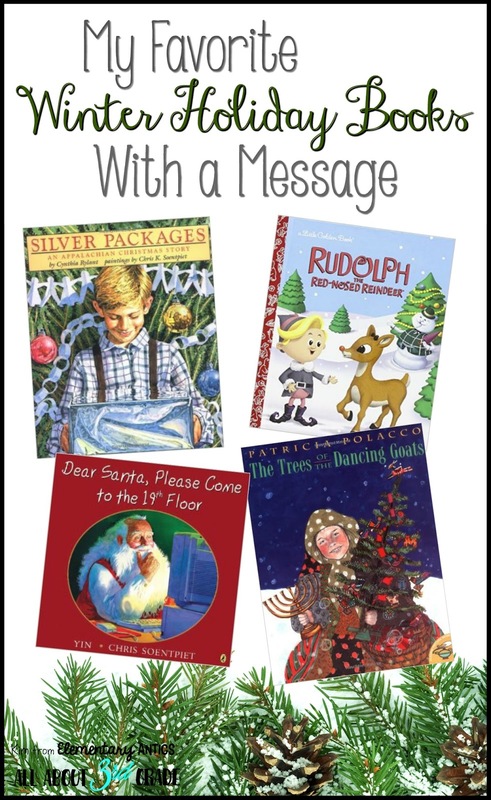 Fist on the list is Silver Packages by Cynthia Rylant. This is one of my all time favorites! It has a great message of gratitude, thankfulness and kindness for the holiday season. This Appalachian Christmas story is about a boy, Frankie, who desperately wishes for one special gift from the Christmas train. He really wants a doctor's kit, but year after year, gets things he really needs like mittens and socks with little toys. Years later, he moves back to his small town after fulfilling his dream of becoming a doctor. Read more about how I used this book in my classroom here. Another favorite is Dear Santa, Please Come to the 19th Floor by Yin. This one takes place in a rough neighborhood in a high rise apartment with Carlos and Willy. Willy sends Santa an email to come visit his friend, Carlos, who is feeling pretty down. Well, Santa does come and brings happiness to his friend. The message of hope is strong in this story. Chris Soenpiet (the illustrator) has a great website with lesson plans and ideas for using this book in your classroom. It wouldn't be a list of my favorite books without one by Patricia Polacco! The Trees of the Dancing Goats is a wonderful memoir of how one Jewish family helps keep the spirit of the season alive for their neighbors who won't be able to celebrate Christmas because they are sick. It's a story of unselfish giving at it's finest. It truly celebrates the spirit of humanity- regardless of different backgrounds or religions. Patricia Polacco is such a gifted story teller! Rudolph the Red-Nosed Reindeer by Rick Bunsen isn't one you'd probably think of as a book with a message, but it truly is. I know we usually just think of the beloved animated show and Christmas classic song, but after reading this I realized it has so many great messages for our students! Rudolph was essentially ostracized by his peers and even felt like he didn't belong with the group of misfits. In the end he realizes he does belong and it's okay to be different. So, main message here- It's GOOD to be unique and different! Rudolph's "defect" of having a red nose actually ended up being his biggest asset! Embrace your natural gifts. Graphing: Freebies and Fun Ideas!